We find ourselves in the aftermath of Christmas where a number of retailers are putting on insanely impressive sales events in order to get rid of stock and entice customers through the physical or digital doors. As always, we tend to shy away from spot deals, and instead look to bring you day-after-day of insane deals to keep you ticking over from a technology perspective, Check out today’s deals to see if there is anything that grabs your attention. 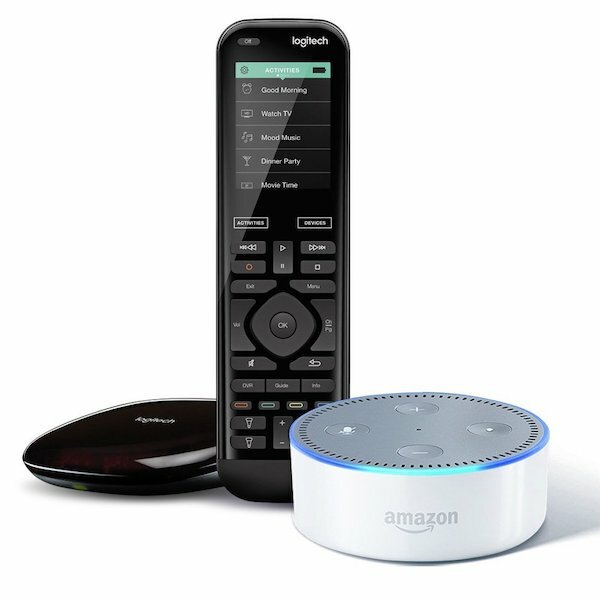 First up we are looking at is the extremely convenient Logitech Harmony Elite universal remote control + Echo Dot bundled in one letting you not only control all of your IR compliant hardware, such as stereo systems, window shutters and more with remote control, but also through Alexa voice assistant. 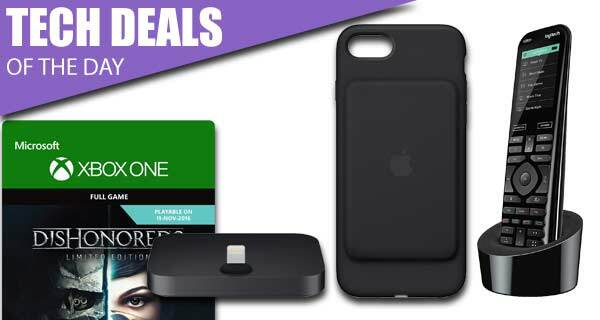 Following up, we have two official Apple accessories for iPhone users. There is the iPhone 7 Smart Battery Case coming in at $84.99 down from the usual $99.00 price tag, and if you’re looking for a dock, you can now get Apple’s official Lightning Dock for a mere $42.49. Last but not the least is a discounted, immediate digital download of Dishonored 2 for the Xbox One. As always, keep your credit card close by as the deals listed are available for a limited period of time only, or till stocks last, whichever happens first. So if there’s a product in here that you have your heart set on, make sure you act quickly before the offers expire. If you’ve been looking for a little bit of power when it comes to your audio visual setup, and want to consolidate all of your individual remotes into one gorgeous little piece of technology, then Logitech has you covered with its Harmony range. This advanced Harmony Elite offers the ability to work with more than 250,000 different entertainment devices, as well as saving up to 50 favorite channels for one touch access. You can even set up Activities to make sure that you get instant access to certain functionality with a single touch. Bundled Echo Dot in the package means you can control all of those devices using Alexa voice assistant as well! This official Apple iPhone Lightning Dock is the perfect accompaniment to any modern iPhone that comes equipped with a Lightning port. Simply plug the dock into your computer or a wall outlet, slip the iPhone in, and you can benefit from instant charging and synchronization with minimal fuss. It’s available in Black, Silver, Gold, and Rose Gold to match your own personal iPhone preference. If you’re splashing out on Apple’s official Lightning Dock then you may as well dig a little bit deeper and get the Cupertino-based company’s own Smart Battery Case for iPhone 7. 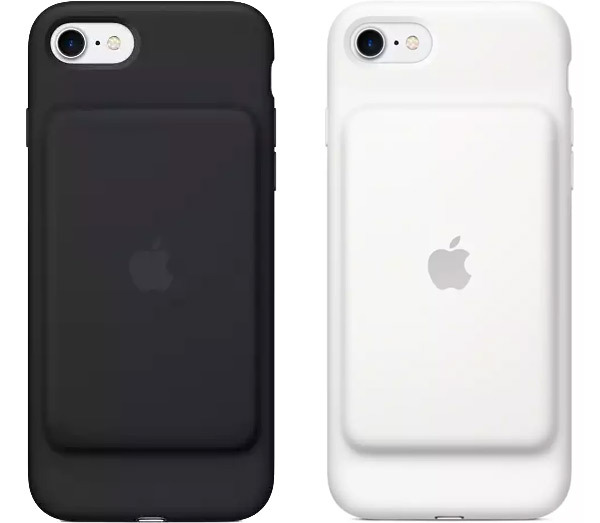 The case is Apple’s official solution to ensure that the iPhone 7 never runs out of battery at an inopportune time. It even offers nice little extended functionality like notifications on the Lock screen and Today View to ensure the owner is kept up to speed with the exact status of the case. 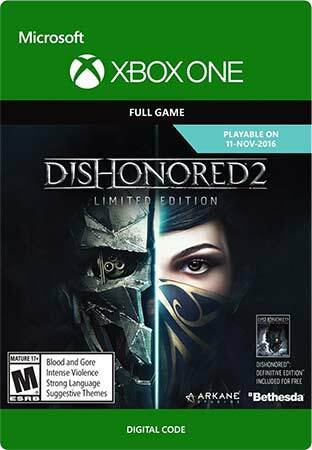 Why wait to have the fantastic Dishonored 2 delivered to your door by an unenthusiastic delivery man when you can purchase the digital download version and get the code immediately for your Xbox One? That’s exactly what is on offer here with this tech deal. If you’ve always wanted to use your Xbox One or Xbox One S to be a supernatural assassin, then now is your time to shine.